The removal of impurities within a compressed air system is vitally important in order to prevent contamination of downstream processes and products. 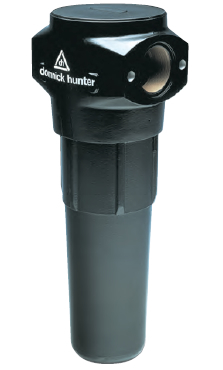 Parker domnick hunter OIL-X 50 Series intermediate pressure filters combine the well proven OIL-Xplus filter elements with specially designed housings to provide high efficiency filtration for applications up to 50 bar g (725 psi g). Available in various filtration grades and connection sizes, they provide a level of protection tailored to your application.